Real Estate Investment Trusts (REITs) are a popular option for income investors looking to stocks for their high-yield needs. That’s partly because REITs are generally not only a good source for finding generous and steadily-growing dividends, but many of them also offer low volatility, making them ideal for low risk investors. While REITs can be a source of high income for your portfolio, that doesn’t mean you can be lackadaisical when it comes to selecting which REITs you entrust with your hard earned money. Like with all investments, you have to be careful about which ones you own and that means understanding the key differences between REITs and regular dividend-paying corporations. Specifically, you need to know which metrics matter most to identifying the best REITs from those that aren’t worth your time. Let’s take a look at what you need to know about REITs and which metrics matter most to help you make better informed decisions that are aligned with your financial goals. The first step in successfully navigating the world of REITs is to understand the main differences between regular dividend paying corporations and REITs, which are summarized in the table below. Like corporations, owning shares in a REIT means owning a stake in a company. However, the difference between corporations and REITs is that REITs were created by Congress in the 1960s as “pass-through” entities, to help make it easier for retail investors to participate in America’s real estate market. As a result, REITs are required to earn at least 75% of their income from rental properties or investments in real estate. They must also pay out 90% of profits as unqualified dividends to investors. As long as they meet these requirements, REITs pay no corporate taxes. 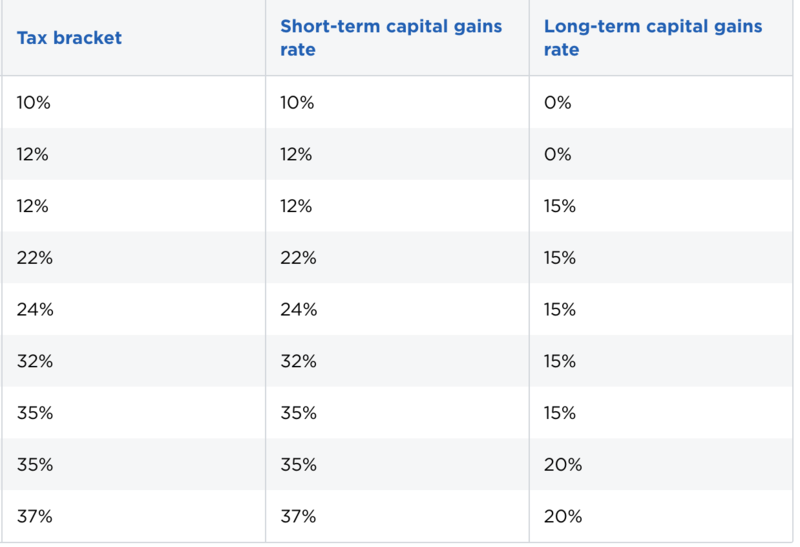 Since the majority of a REIT's dividend payments are unqualified, they are taxed as regular income instead of the lower, long-term capital gains rate that most regular corporate dividends enjoy (see the table below). However, their effective tax rate was lowered thanks to 2017 tax reform legislation which implemented a new 20% pass-through deduction. As a result, the highest effective marginal tax rate for REITs was lowered from 37% to 29.6%. However, owning REITs in a tax-deferred account such as an IRA or 401(k) is usually a good idea to maximize the ability of REIT dividends to compound over time via dividend reinvestment. Perhaps the biggest difference between corporations and REITs is that REITs retain very little earnings and cash flow to use for growth projects. Thus, in order to grow they raise external debt and equity capital from investors. This explains why REITs almost always have rising share counts over time. But doesn’t the fact that REITs frequently sell new shares to grow their assets mean that investors are being diluted? While this is true, if you are careful about selecting the best managed REITs, then you’ll benefit from skilled management teams that use a combination of debt (which generally has a lower cost than equity) and equity to generate a cost of capital that’s lower than the cash yield on new properties. In other words, despite the rising share count, the amount of cash flow per share steadily increases over time, along with the dividend. Growing cash flow tends to cause the share price to rise over time and make many REITs solid long-term investments. The unique industry specifics of REITs result in several important terms that investors need to know to perform their due diligence and select the best quality choices for their portfolios. Funds from operations (FFO) is a standardized industry term defined by the National Association of Real Estate Investment Trusts. or NAREIT. It’s defined as GAAP net income + depreciation and amortization – gains from property sales. The reason that FFO is more important than earnings is because under GAAP (generally accepted accounting principles) depreciation and amortization (non-cash expenses) are deducted from net income. However, because properly maintained real estate properties generally appreciate in value over time, depreciation and amortization charges lower earnings per share artificially and can make a REIT’s dividend payout ratio appear artificially high. In other words, FFO is a much better way of determining a REIT’s operating cash flow, which provides better clues about how safe its dividend really is. Adjusted funds from operations (AFFO) is a bit trickier because, unlike FFO, there is no objective formula that all REITs use. However, in general AFFO is calculated by reducing FFO (operating cash flow) by maintenance costs (capex) and taking into account something called straight line lease revenue. This is when a REIT gets paid rent up front, in a lump sum, and so the REIT adjusts this to show rent per quarter. AFFO also adds back in debt amortization and debt and equity issuance costs. This is done because the cost of debt and equity issuance is a growth cost, and the REIT business model is built around growth being funded by external debt and equity investors. Or to put it another way, AFFO is similar to free cash flow (FCF) for a REIT. For regular corporations, which generally retain earnings and cash flow in order to fund growth internally, free cash flow is defined as operating cash flow (revenue minus the cost of operating the business) minus both maintenance and growth capital investment. But because REITs are designed to grow through external capital sources (i.e. issuing debt and equity), only maintenance capex is excluded, as well as the costs associated with raising external capital. Note that some REITs call AFFO “Funds available for distribution,” or FAD. Most investors are used to checking a corporation’s dividend sustainability by looking at either the EPS or FCF payout ratio. However, this is a mistake for REITs because, as previously explained, a REIT’s reported EPS will be substantially lowered by its non-cash depreciation and amortization expenses. And as for FCF, remember that this includes growth capital investment costs, which a REIT funds through external sources and thus will also be extremely low or even negative in most cases. For example, here’s the 2017 payout ratio information for Realty Income (O), the gold standard of safe REITs. As you can see, if you look at the EPS or FCF payout ratio you would think that Realty Income’s dividend is incredibly unsafe and headed for an imminent cut. However, that couldn’t be further from the case. In fact, Realty Income has never cut its dividend (adjusted for occasional special dividends) and has one of the safest payouts of any REIT. That becomes clear if you look at the AFFO payout ratio, which at 83% is actually reasonably secure and consistent with its level in recent years (see below). While that figure may sound high, you have to remember that Realty Income is required by law to pay out the majority of its taxable income as dividends. In addition, the company’s business model makes for highly secure dividends. That’s because Realty Income is what’s known as a “triple net lease” REIT, which means its tenants pay all maintenance, property taxes, and insurance costs. Realty Income just collects rent locked in under 10 to 20-year leases with annual rental escalators baked in to help offset inflation. In other words, Realty Income’s cash flow predictability is high enough to make the dividend solid in almost any economic or interest rate environment. Of course there is another very important factor when determining dividend safety for any REIT, and that’s the strength of its balance sheet. Remember that all REITs need access to cheap debt to grow. That’s because generally the cost of equity is higher than the cost of debt, which means that debt is a cheaper way to leverage equity capital and lower the overall cost of capital. A REIT must maintain a cost of capital that’s lower than the cash yield on the new properties it buys in order for AFFO per share and its dividend to grow sustainably over time. A REIT’s leverage ratio, usually defined as Debt/EBITDA (or sometimes Debt/Adjusted EBITDA), is very important because this is a major factor that credit rating agencies use to determine how risky a REIT’s debt is. A lower credit rating increases a REIT’s cost of debt capital, potentially reducing its available growth opportunities. Another good source for making sure a REIT isn’t overextending itself with debt (and a proxy for the company’s overall quality) is to look at its credit rating. An investment-grade credit rating is BBB- and above (Standard & Poor's rating scale), and the higher a REIT’s rating the easier time it has borrowing cheaply. A high credit rating not only helps create an easy screening tool for finding quality REITs but also can serve as a major competitive advantage in an industry that generally doesn’t allow for a wide moat due to the commoditized nature of rental properties. Since a REIT is always raising money to grow, its cost of that capital is one of the most important things to help determine a REIT’s long-term investment potential. There are three sources of capital: undistributed cash flow, equity, and debt. The cost of capital is the weighted average of all three sources of capital. Undistributed or retained cash flow is by design (and tax law) the smallest but cheapest (free) source of capital. The next cheapest is debt, especially in today’s low interest rate environment. The formula for a REIT’s cost of debt capital is total interest expense / total debt. The most expensive source of capital is equity. This makes sense intuitively because each additional share sold is a future claim on a REIT’s cash flow and increases the dividend cost. In reality, the CAPM model isn’t all that useful because the actual value of the variables depends on the individual. For example, the risk-free rate of return is generally considered the yield on U.S. Treasury bonds, but whether you use the 10 or 30-year yield is a personal choice. Meanwhile, beta is generally the volatility of a stock relative to the S&P 500, a metric called “beta.” However, the actual value of beta depends on the time frame, which can be anywhere from one to several years. The expected market return is also a personal choice, depending on what time frame you are looking at. For example, the S&P 500 has generated a total annual return of around 9% over the long term, but on a rolling 10 or 20-year basis the S&P 500’s total returns can vary wildly. A more useful and objective measure of cost of equity is the AFFO yield, meaning the AFFO per share divided by the share price of the stock. This shows the cost of issuing a new share, one that will then have a future claim on the very metric that supports the security and growth of the dividend. This way of calculating cost of equity shows the long-term benefit of a higher share price (in terms of being able to grow a REIT’s portfolio base). The higher a REIT’s share price, the lower its cost of equity, meaning that it needs to sell fewer new shares in order to raise growth capital. Or to put it another way, the higher the share price, the less additional dilution is needed to buy additional rental properties to grow a REIT’s cash flow. Given how volatile stock prices can be over short periods of time, there can be a big variance in a firm's cost of equity. In other words REITs, unlike most regular corporations, are actually dependent on their share prices in order to be able to grow. If a share price falls too low for too long, then a REIT can fall into a liquidity trap. That means that a REIT’s cost of capital can rise above the cash yield (i.e. marginal AFFO / property price) of new properties it can buy, making growth uneconomical. Put another way, if a REIT in such a situation decided to keep buying properties, using high cost equity and high cost debt, it would be growing for growth’s sake only (something some low quality, externally managed REITs unfortunately do). The REIT's actual AFFO per share would actually fall due to excessive share dilution and the increased number of shares means that the dividend payout ratio will increase, making the dividend less secure and future payout growth harder to come by. Realty Income’s very low cost of capital is far below its latest cash yield on new properties (6.1%), which ensures that all its recent property purchases are helping to grow AFFO per share, secure the current dividend, and allow for future growth. This is why REIT management teams need to be very long-term oriented, to ensure that they manage a REIT’s capital structure (debt vs equity capital raises) appropriately. If shares prices are high, then the best course of action is to fund more acquisition with equity than debt in order to strengthen (i.e. de-lever) the balance sheet. Then, when share prices fall, a REIT can afford to fund growth with greater proportions of debt relative to equity (i.e. lever up the balance sheet) in order to minimize dilution and keep AFFO per share and the dividend growing. Realty Income, as well as the management teams of other blue-chip REITs such as Ventas (VTR), Welltower (HCN), Public Storage (PSA), and W.P. Carey (WPC), have long track records of proving they can grow in all manner of economic and interest rate environments. Because REIT’s have specialized metrics, it’s equally important that investors understand which metrics matter when it comes to valuing them. Since GAAP EPS and FCF are artificially low for REITs due to depreciation, amortization, and growth capital deductions, using either metric to value a REIT will almost always lead you to conclude that a REIT is overvalued. Instead, two more appropriate valuation metrics to look at are price / AFFO (similar to a price-to-earnings ratio commonly used to assess the value of corporations) and dividend yield (a primary reason for owning REITs). There is no perfect approach to valuation, which is part art, part science. However, comparing a REIT's current Price / AFFO multiple to its historical trading range and to its peers can help gauge whether or not the multiple looks reasonable. Besides snapshot valuation metrics, my preference for most stocks is to see a path to 10%+ annual total returns. I get there by adding the current dividend yield to my best guess for long-term annual earnings growth. Realty Income is sort of tricky because its organic growth rate is quite low – somewhere around 1-2%, driven by rent increases. Property acquisitions can presumably add another couple percentage points to growth over time, just like they have for the past 20+ years. In other words, my best guess is Realty Income can grow its earnings around 4-6% per year. 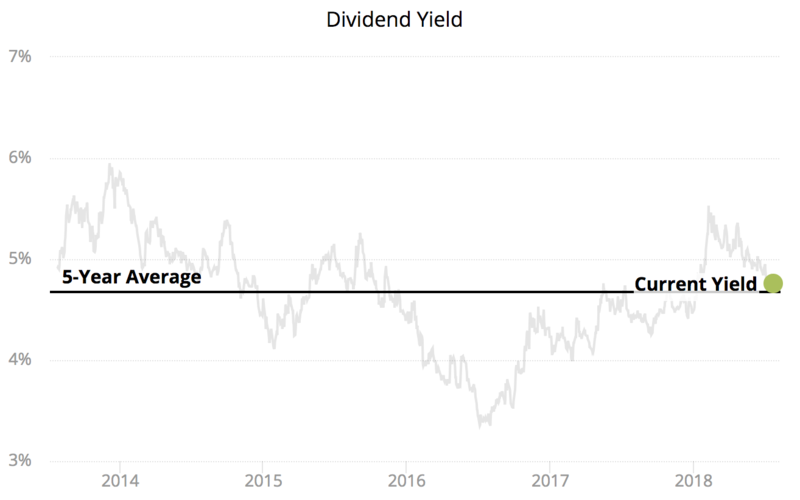 A 5% dividend yield would get me pretty close to my 10% threshold, and it would also be somewhat above the stock’s five-year average yield. While successful REIT investing requires a bit more research to properly understand the industry-specific metrics that separate the wheat from the chaff, there are a number of quality, higher-yielding investments in this space of the market. With REITs offering a far simpler, less paperwork-intensive and more liquid way of owning rental properties, understanding the most important metrics in this industry is worth the effort. Simply Safe Dividends provides charts and data covering a REIT's most important metrics, including AFFO payout ratios, FFO growth, historical dividend yields, and more.